According to the most recent USDA Natural Resources Conservation Service Kremmling Field Office snow surveys, snowpack in the high elevation mountains above Middle Park now ranges from 115 percent to 194 percent of the 30-year average, with the overall average for Middle Park at 141 percent. New record highs were set at both the Granby and Buffalo Park snow courses. At this time last year, the area was only at 75 percent of average. Snow density is averaging 28 percent, which means that for one foot of snow there is only 3.3 inches of water, which NRCS surveyors said is normal for early March. All Colorado River basins are reporting above average snowpack, except for southwestern Colorado which is 5 to 15 percent below average. 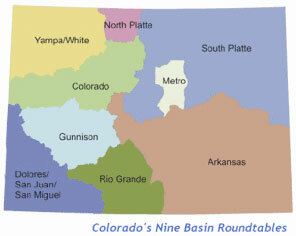 Reported readings for the major river basins in Colorado are as follows: Colorado River Basin 137 percent; Gunnison River Basin, 114 percent; South Platte River Basin,145 percent; Yampa and White River Basins, 122 percent; Arkansas River Basin, 103 percent; Upper Rio Grande Basin, 85 percent; San Miguel, Dolores, Animas and San Juan River Basins 95 percent; and the Laramie and North Platte River Basins, 132 percent of average for this time of year. Utilities’ March Water Outlook report says snowpack levels are above average and the early season yield projections indicate a positive outlook for the year. Water storage levels throughout the state are at 57 percent capacity, according to utilities officials. Although that’s not an ideal number, utilities spokesman Steve Berry said that’s a far cry from where levels were sitting at this time last year. Although winter temperatures fell into the single and negative digits, an increase in snowfall accumulations in the mountains diminished drought conditions in the region, according to the U.S. Drought Monitor. As of Feb. 28, Pikes Peak snowpack levels were at 52 percent, and Rampart Reservoir at 86 percent, bringing local storage levels to 73 percent, according to utilities records. Additionally, snowpack in the Upper Colorado Basin is at 130 percent of average, and the Arkansas Basin level is at average capacity. Drought conditions and water restrictions imposed by utilities officials encouraged area residents to conserve water, according to utilities records. February water consumption averaged 40.4 million gallons per day, about three percent less than last February. Year-to-date useage averaged 39.9 million gallons per day, a 6.1 percent decrease from last year. I’m attending the Roundtable Summit today. I intend to live-Tweet the goings on @CoyoteGulch. Ranchers, anglers and big-city water bosses raised a white flag in Colorado’s long-running water wars this week by setting aside bullying and threats of lawsuits and permit appeals. Instead, Grand County and Trout Unlimited have agreed to let Denver Water siphon another 18,000 acre feet from the headwaters of the Colorado River — but only under a strict checklist of requirements designed to ensure the Fraser River recovers from decades of depletion. This week’s pact seeks to honor Denver Water’s longstanding river rights while ensuring the Fraser will be protected no matter how much more water is diverted for urban use. The restoration plan will use real-time data to track critical temperature increases in key streams caused either by Denver Water’s seasonal diversions or the long-term effects of climate change. When temperatures spike, additional flows will be released to cool the water when needed. In good water years, the deal will give Denver up to 18,000 acre feet of additional water, which will mostly be tapped during the peak spring runoff season. The timing of the diversions is a key part of the utility’s promise to improve the Fraser. “We’re not going to be diverting water all the time. We won’t divert water in critically dry years, and we’ll only divert water during spring runoff. At other times of year, we’ll put water back into the river and improve conditions,” said Jim Lochhead, Denver Water’s CEO and manager. The Army Corps of Engineers’ final environmental study is due in late April, with a formal decision on the proposed diversion project expected in early 2015. This week’s pact minimizes the likelihood of a permit appeal or a time-consuming lawsuit by conservationists. That’s important for Denver Water, which is eager to dig its shovels into the ground as soon as possible. Some of the extremely dry years in the early 2000s — especially 2002 — already have put the water giant’s delivery system to the test. The deal also gives Grand County some assurances that the Fraser will remain a vibrant part of its outdoor recreation economy. 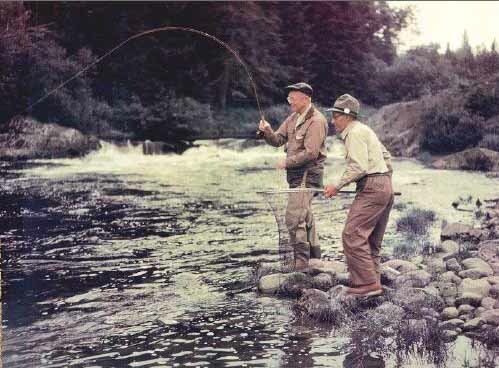 Anglers from throughout the state and country visit Grand County to wet their lines in a river that was favored by President Dwight Eisenhower. West Slope water managers acknowledge Denver Water’s legal rights. But they question whether any new trans-divide diversions are needed, claiming that Front Range communities could easily meet existing and future needs with more efficient use of the water the utility already is diverting over the Continental Divide. Under any plan, they say, drawing more water from any Colorado River tributary will have ripple effects felt far downstream, from endangered Colorado River fish near Grand Junction to lettuce growers in the salty deserts near the Mexican border. 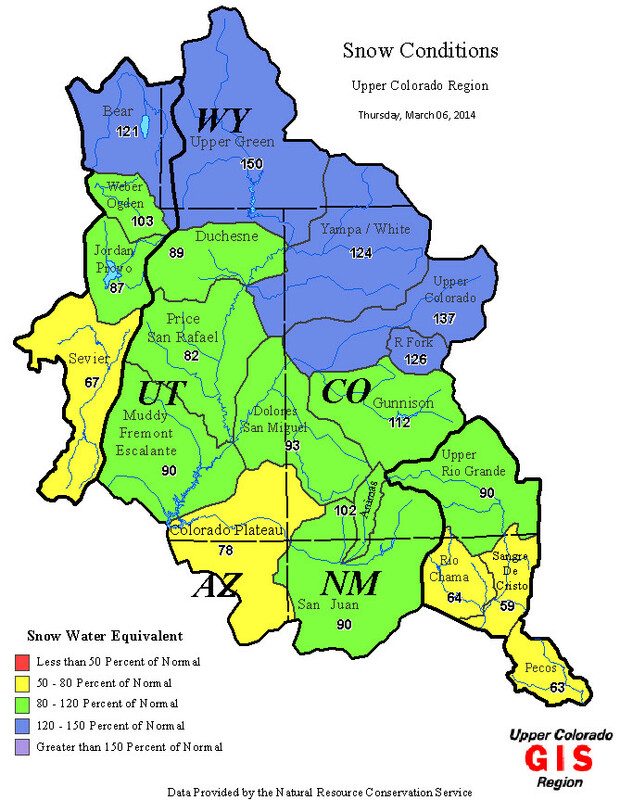 More Colorado River Basin coverage here. Farmers are as certain as farmers can be that this year will be better than the last. All indications at a still early point in the growing season are pointing toward more favorable conditions than farmers have seen in the last three years. The Arkansas Valley’s three largest irrigation well-owner groups have submitted plans to the state with varying degrees of optimism, after they were limited in 2013. Pumping levels depend on the availability of surface supplies for augmentation. The Lower Arkansas Water Management Association wants to pump its irrigation wells at 90 percent capacity, up from 10 percent last year. The group serves the eastern end of the valley. “Everyone is looking forward to planting a crop,” said Don Higbee, LAWMA manager. The Arkansas Groundwater Users Association, which augments wells on Fountain Creek and the area east of Pueblo, is a little more cautious. It plans an initial allocation of about 65 percent for farms, up from 30 percent last year. Municipal and domestic allocation will be 100 percent. “There’s a good chance of a second allocation if snowpack is 100 percent on May 1,” said AGUA manager Scott Lorenz. Colorado Water Protective and Development Association, which covers wells throughout the valley, is looking at something less than 65 percent, but better than 2013, when wells without an independent supply were shut down. If snowpack remains at high levels, ditches in the Arkansas Valley should see more normal years than the past three seasons, when flows dropped late in the year if they came at all. Commodity prices are down, and cattle herds have been thinned. The National Oceanic and Atmospheric Administration is predicting that chances are good for an El Nino forming over the Pacific Ocean in late summer. Such systems usually mean warmer temperatures and increased rainfall for the Southern United States, including Southern Colorado. Snowpack was more than 125 percent in the Arkansas River headwaters, which feed the mainstem of the river. Additional water will be available from the Fryingpan-Arkansas Project, forecast at 40 percent above average as of March 1, and through leases by the Pueblo Board of Water Works. More Arkansas River Basin coverage here.